Motown & More – This 4- to 11-piece high energy dance band can entertain guests of all ages. Ready Freddy’s motown, disco, dance, and soul music will get everyone moving. 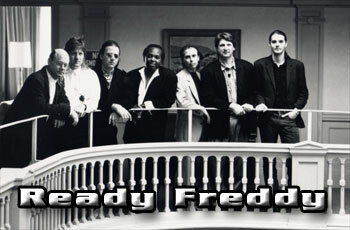 Ready Freddy specializes in weddings, parties, and corporate events.